If you have your septic design done through us, you are guaranteed to save money. The person that does the septic design is responsible for selecting all the materials for the septic system. If you hire a designer who insists on using new technology, that’s great and all, but when new technology comes out, it costs much more than the standard comparable products on the market. Our industry falls into the trap trying to insist on flashy new septic products. Manufacturers are coming out with some really great stuff — we have the introduction of wifi capable devices, we can install control panels that run our septic system, and we can do it from anywhere that has internet. The idea sounds incredible! However, our industry professionals need to put themselves in the shoes of their customers. If we take the passion for our industry and the products in our industry, would we still want those flashy new expensive devices as the homeowner? Most homeowners just want their septic to be reliable — they don’t want to spend an extra $50 on the installation of anything that is unnecessary. 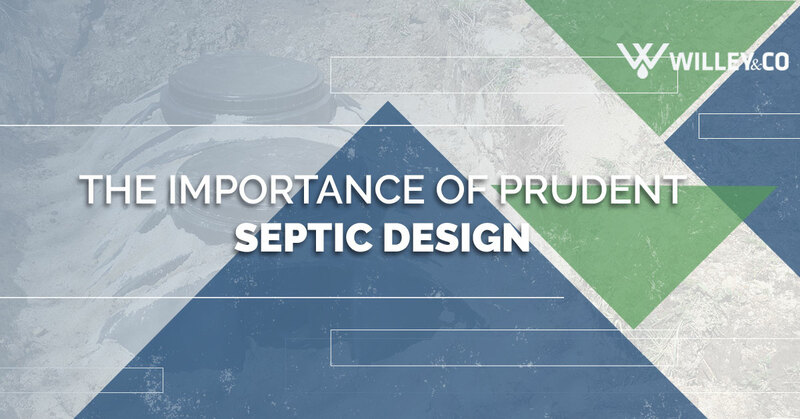 When we do the septic designs, we aim our focus on that exact principle. We use products that are simple, but reliable. Of course, we are always evaluating new products — but until the benefit matches the investment, we like to stick with what we know works. Sometimes a new product comes out that solves a problem in the industry. Over the last 10 years, Delaware has seen the usage of a product by Infiltrator called EZ Flow. We are a huge fan of EZ Flow and we use it as much a possible. EZ Flow solved a problem in our industry in our area — it’s very hard to get clean stone that’s the right size for a septic system in our area, a problem has been getting worse for the last seven years. Last winter, this problem was solved by EZ Flow. The question was, “does it warrant the cost?” The answer is different for everyone based on their situation. For example, we do a lot of new construction. New construction can be on a very tight timeline, and if dates are missed, it can cost people a lot of money. A long time ago, we determined that EZ Flow was worth the focus because it gave us reliability, uniformity, and it performed admirably. It’s the same size and it’s clean every single time (increasing the lifespan of a septic system); all these things made EX Flow a no-brainer, even though it was new. Many designers don’t go to trade shows or evaluate new products in the industry. They simply lean on print, internet, and local supply houses for suggestions. We, on the other hand, visit trade shows as much as possible. Trade shows have understandable data, demonstrations, and provide the opportunity to discuss things one-on-one with the manufacturer. We treat all designs as if we were the end user. We aim for the best quality at the best price. Many designers have no idea how much the products they specify actually cost, and they don’t purchase them. As the installer, we know very well how much everything in the industry costs. The risk of problems occurring is greatly reduced if we are doing the design and installation. Let us save you time, problems, and money! Contact us today!